The North Carolina solar industry is one of the leaders in the nation, ranking second in the country in terms of number of megawatts installed, and it is indeed a great state for homeowners to consider powering their homes with solar energy. According to the Solar Industries Association, the North Carolina solar market is projected to add 4,230 megawatts over the next five years, which ranks fourth among all states in the U.S. That would nearly double the current number the state holds, and North Carolina homeowners are seeing the value in going solar themselves. All this is happening while the costs to install solar have dropped by more than 70 percent since 2010, making solar energy an affordable option for many consumers. POWERHOME Solar has taken advantage of that growth to become the No. 12 residential solar contractor in the nation, per Solar Power World’s 2018 rankings. 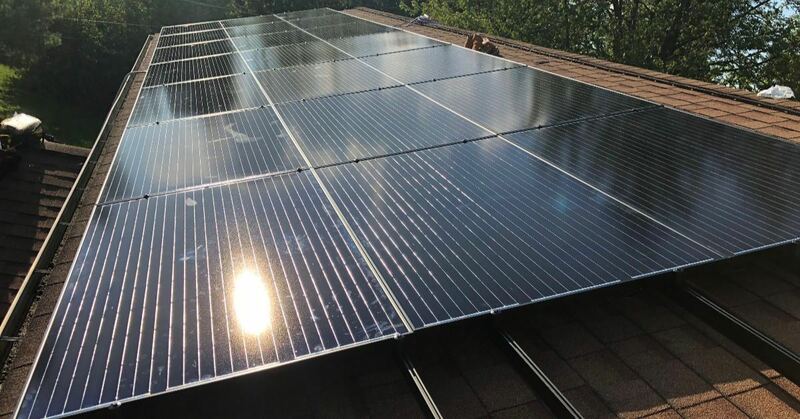 We know all about the benefits of going solar, and below we give potential North Carolina solar customers the 10 biggest benefits of doing just that. 10. Your solar panels are affordable. Chances are if you can afford your power bill, you can afford to go solar. With our innovative solar program, North Carolina homeowners can go solar for $0 up-front cost, save money on their electric bills, and generate their own clean energy.